The Context of White Supremacy welcomes Walter Beach III. A retired NFL player, Beach was a teammate of Jim Brown on the 1964 World Champion Cleveland Browns. 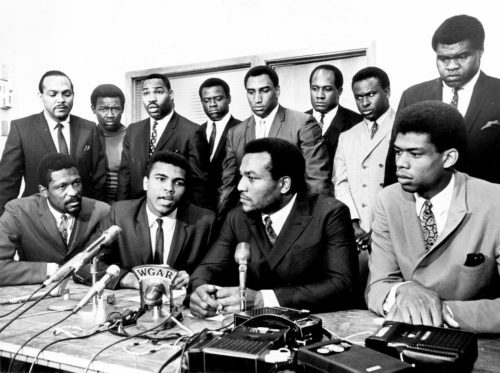 More importantly, Walter Beach III joined Brown, Bill Russell, Kareem Abdul-Jabbar and a cadre of professional black athletes to support Muhammad Ali’s refusal to be drafted into military service for the Vietnam conflict. Beach writes about these events and more of his life in the book, Consider This. We’ll review his childhood in Michigan, and how White Supremacy/Racism shaped his development. We’ll ask Beach to recount the day his mother made him wear a dress to help escape a lynching. Beach also faced a professional lynching during his NFL days. His White boss, Art Modell, chided him for reading Elijah Muhammad’s book, Message to the Black Man. Since many have compared Colin Kaepernick and the NFL national anthem protests to the activism of the 1960’s, we’ll get Beach’s assessment of the kneel downs. We’ll also get his thoughts on the over the top touchdown celebrations – which are most frequently exhibited by black players.